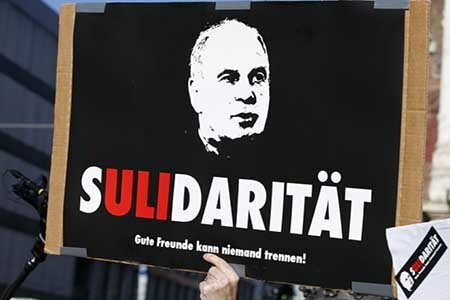 It seems that Uli Hoeness is in trouble with the law. As the current President of Bayern Munich, who are the European football champions, Hoeness was initially accused of defrauding the government for €3.5m. Uli Hoeness who is the President of Bayern Munich, the European football champions, has admitted in a German court that he evaded €18m in taxes. As the saying goes ‘where there is smoke, there is fire’, and this has become clearly evident when Hoeness admitted in a German court to not declaring over €33m in income made between 2004 and 2009. He also admitted to excessive gambling on the Forex markets. According to the 62 year old, he hid this money in a secret Swiss bank Account. On the revelation of this new information from Hoeness, German prosecutors are now seeking a 7-year prison term for the former German World Cup football winner. Last year on the 15th of January, Hoeness was dining with Angela Merkel, the German Chancellor, when he received a call regarding the investigation of his tax evasion. In order to rectify matters, Hoeness has offered his resignation but it seems that his supporters and the club’s board are not ready to let him go yet. Hoeness has also apologized to the court and has requested leniency. Will Sports Betting Be Regulated in New Jersey?